Diane Montagna of Aleteia.org has provided the complete text of Archbishop Gänswein’s infamous speech in English. After having read the presentation in its fullness, I can say that the broader context thus provided in no way lessens the impact of the archbishop’s commentary. On the contrary, it only served to confirm my thoughts on the matter. Benedict’s Declaratio of 11 February 2013 was not – I repeat, it was not – a papal resignation, abdication, or any such thing. For most people, the idea of “renouncing” a position – at one’s place of employment, or perhaps on a Board of Directors, or in the case of a priest, the role of pastor, etc., – is a pretty straight forward proposition. In other words, we can well imagine what “renounce” means in practice. In the present case, however, only a fool can fail to ask: What precisely did this “renouncement” mean to Benedict? Rather, he tells us, for Benedict, the renouncement meant “profoundly and permanently transforming” the Petrine ministry as instituted by Christ so as to endow it with a “collegial and synodal dimension, as a quasi-shared ministry” between two men. In other words, Benedict attempted to do what every Catholic I care to know recognizes as the impossible. Archbishop Gänswein, for his part, clearly idolizes Ratzinger, whom he describes as “the Western man par excellence who has embodied the wealth of Catholic tradition as no other.” (Seriously?) As such, he evidently imagines that the man can do no wrong. “Many people even today continue to see this new situation as a kind of exceptional (not regular) state of the divinely instituted Office of Peter,” he observed, as if genuinely perplexed by the controversy. What if it was never anything more than an impossible dream? What if it was no more capable of producing the desired result (a vacant See of Rome) than a giant paper airplane is capable of transporting an imaginative child to the moon? What then of the “conclave” that followed? My friends, the gravity of this situation cannot be overstated. Every single, solitary Catholic with a mustard seed’s worth of faith and even the tiniest drop of give-a-damn – most especially members of the sacred hierarchy – should be demanding (or providing) answers to such questions. I’ve already stated my own assessment of the matter plainly enough, which led to some well-meaning friends suggesting that it would have perhaps been more prudent for me to hold my cards a little bit closer to the vest. To Hell with that! The Rock upon which the Church of Christ is built, its very foundation, is under attack! We are being told, in plain and simple language, of an attempt to split the Petrine Ministry between two members, and this at the hands of the pope himself! It’s positively… how to describe it… ah, yes, suicidal. No, this is no time for timidity. Rather, it’s high time for every would-be soldier for Christ to make his mettle known; to condemn this madness in no uncertain terms, to demand answers, and more importantly, action of those who propose to lead us, and to insist upon their faithfulness to the Church’s divine constitution. Sure, holding one’s cards close to the vest is a more comfortable response, but one either accepts and is willing to defend the Office of Peter as immutably instituted by Christ, or not. If so, then it’s time to speak up. As it is, Christian soldiers are in rather short supply these days. The silence coming from practically every ecclesial quarter is deafening. That is not to say, however, that no one in Rome recognizes the gravity of the matter. Who are these men (some presumably cardinals)? Where are they now? Why do they sit silent? These are rhetorical questions, to be sure, as obviously we have no real shepherds. 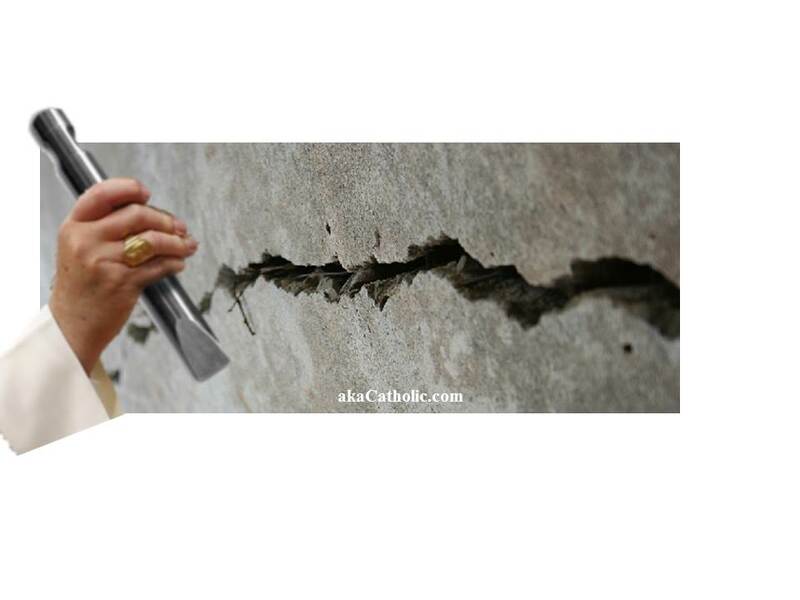 What will the state of the Church be if Francis, as one may well expect, survives Benedict? Well, unless I (and everyone else for nearly 2,000 years) got this all wrong and Our Lord really does wish to build His Church on a “quasi-shared ministry with a collegial and synodal dimension,” upon Benedict’s death, the See of Rome will most certainly become vacant, and it will remain so until such time as Francis mercifully departs from our presence whereupon a new conclave will assemble. And what can we expect until the blessed day of Francis’ departure? If you’re not sufficiently horrified enough already, consider the possibility, remote or otherwise, that the blasphemous Argentinian heretic in white has to this point been somewhat constrained in his actions by the mere presence of the “contemplative member” next door. Now, imagine what Catholic life might be like with Francis unchained. If this doesn’t bring you to your knees, I don’t want to experience what will. This is not the only split. The coming “collegial Church” with its pumped up bishops and conferences will create many little fiefdoms and empires — essentially protestant denominations. The faithful should dispense with the corrupt heirarchy and demand direct governance from Rome. The impractically of such a huge weight upon the Pope would force the formation and appointment of authentic shepherds. Incompetence would no longer find anywhere to hide. The whole rotten structure must be brought down before we can rebuild. Sent this to a Traditional Catholic website yesterday. 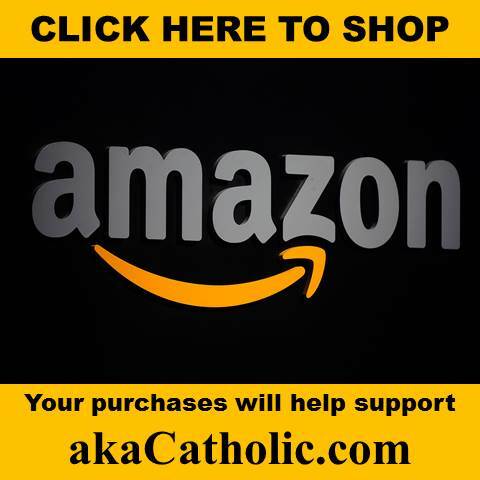 The Catholic Church cannot have two Popes. For the Progressives in control of the hierarchy to propound that Benedict is Pope Emeritus and Bergoglio is Pope in the active exercise of the Office is to put forth a contradiction as blatant as saying that 2 = 1, and 1 = 2. Now the Church is Mother. What would be the reaction to seeing a natural mother’s instructing her little one in such a contradiction? What would we say upon seeing her, for example, lay out two little building blocks a bit apart from a solitary block; and tell her child that the quantities, the two and the one, are the same? We would call her a psychopath for doing violence to the intellect of her own child. What if, upon being confronted for her monstrous conduct, she defended herself with the following: “the two blocks are merely an expansion of the one block, there is no contradiction here.” We would rightly regard her as insane. Archbishop Gänswein does no less than the above when he attempts to explain away that in Rome reside two men in white who both reflexively, and one to the other, use the title Pope. Holy Mother Church being divine cannot deceive us, and thus can never compel us under obedience to submit to violence to our intellects and accept a contradiction as fact. To expect Catholics to internalize a contradiction to reality evinces that progressives suffer not merely from psychopathy, but quite possibly demonic oppression for some and possession for others. Pursuant to Canon 212 of the Code of Canon Law, I publicly and respectfully assert my right as laic to receive clarity from the Holy See. Holiness, please instruct and command me as befits thy Holy Office; in what way do I err in apprehending that two men, mutually approving, refer to themselves as Pope? From what defect of understanding of the Church might I suffer in the cognition that just as the singular Blessed Peter reigned in the one Office as one man, that his successors in the papacy can only reign one at a time? Pending answers, my conscience remains duly conformed to magisterial Tradition and must guide me until corrected by lawful authority. In spite of his gravely disordered progressivist intellect, Benedict is Pope. The term Emeritus, therefore ought to be considered a fabrication of his progressivist mind, and accidental (albeit a false attribute) rather than essential to the Papacy. This means that whether he calls himself Pope Emeritus or Pope Fizbin, he is the Pope nonetheless, and no other can be Pope while such is the case. Two living men may simultaneously and validly possess the title of Pope no more than a single man can have two heads. What if the current Pope renounces the papacy while the Pope Emeritus is still alive? We could then end up with with 2 Pope Emeriti and one regular Pope. If the new Pope then renounces the position, we’d have 3 Pope Emeriti and one regular Pope, and so on…Perhaps one day, all the Cardinals will each be the Pope all at the same time! I laugh only because I don’t feel like crying right now. 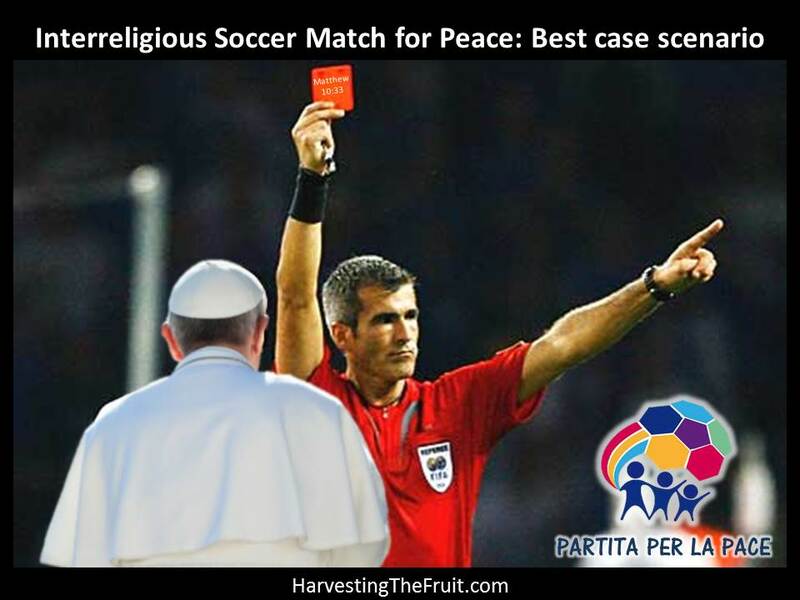 There is a rumor that assistant Pope Francis will resign his part of the Papacy later this summer. Francis has a bad hip. The Jesuits may feel that Francis has done his part. What would it matter if yet another assistant Pope were to come on board? The next logical step would be to reconcile with the Lutherans. Think of it, a charismatic personality coming unexpectedly on the scene, the 500th anniversary of Luther, the canonization of Paul VI and the close of the Holy Year. It could be enough smoke and mirrors to pull it off. This “two popes” business is simply a symbol of the way the Modernists Ratzinger and Bergoglio have embraced homosexual ideology. They want us to have “two daddies”? No way. No chance in hell. This is the same thought I had. It’s like the devil is trying to pervert the Office of Peter just like he is trying to do with marriage. Two men combined to hold the single office of Peter, just like two men combined into one in marriage. It’s as if the devil is mocking the Church with homosexual symbolism. Yes, the devil—with a little help from his friends. Not to mention that Bergoglio is a well-known homosexual enabler who allows “gays” (ugh, what a disgustingly PC term; there’s nothing gay about these perverts) to keep him company in the Curia, and who thought “civil unions” for gays were a good idea. You see, he wanted to lead us to the Conciliar Church! This is not possible since it is clear that they want to impose these innovations on us to end the Tradition! They do not grant anything out of appreciation for the traditional Liturgy, but simply to cheat those to whom they give it and to diminish our resistance; to insert a wedge in the Traditional block to destroy it! Pope Benedict’s resignation was perplexing then and it is even more perplexing now, given the statements of recent times concerning the resignation. times concerning the AntiChrist. Where the very reality gets turned on it’s head. The resignation of Benedict is an indication of such times. What is as disconcerting was the callow reaction of the Laity in the aftermath of Benedict’s resignation. The virtual absence of any reaction among the Laity speaks volumes. We live in perilous times, I think. Funny you speak if holding one’s cards close to the chest. I literally did this yesterday and after stating that the Church is in crisis to a very clueless family friend (devout new order). Then, I found myself actually saying -never mind I don’t want to rock your world. She receives Communion and says the rosary daily, and goes to confession once a week, WHERE do you start? ya know? I live in a N.O. world. My very family is spilt on the matter, and in many instances I live holding my tongue and offering up the pain. I realize what an incredible job the devil has done. Does EVERYONE really need to know?? Can’t some, like the peaceful saintly ones, not living in mortal sin, just happily reside in the matrix? I do not have the time nor the energy to drag these people out of their “perfect” worlds and get beat up as I try. Friends, this is a painfully, lonely and oftentimes discouraging road upon which I am ever so grateful to tred. But I must say, no one knows, and no one cares. And there are SO MANY!! WE HAVE 2 POPES, NO MORE 6TH COMMANDMENT, AND HECK, THUMBS UP TO BIRH CONTROL! Yet, all I hear is BAAA! As the stupid sheep continue to graze in the only pastures they know. We live in a generation where people were actually raised to not know the Catholic Faith. Mission of the devil, accomplished! I mean I just began to know the True Faith myself, AND maybe I know one word of Latin, as I am fresh out of the matrix. I have no idea why God has allowed me to see anything all. But I feel like I see so much-like looking at one of those “magic eye” pictures where once you see clearly the hidden picture, you just can’t unsee it. I do keep asking Him though, to see more, but only when He thinks I am ready, because you know how that can be. God must have His reasons for allowing us to see, I guess it comes with various expectations. For one, we, who see, should pray harder and offer up more sacrifices. If not us, than who? Right? Many of our positions are different on this battle field. As a soldier of Christ, the weapon of choice is the one handed to me by Our Lady, the rosary. Actually, it should be all of ours, as she told us at Fatima, to pray it every day. She is the only way now. Our Lady of Good Success.. lead us through the great event and pray for us! You have said so beautifully what many of us feel and find so difficult to articulate. You said it with kindness and understanding and with deep emotion. How many times have I pitied the holy N.O. 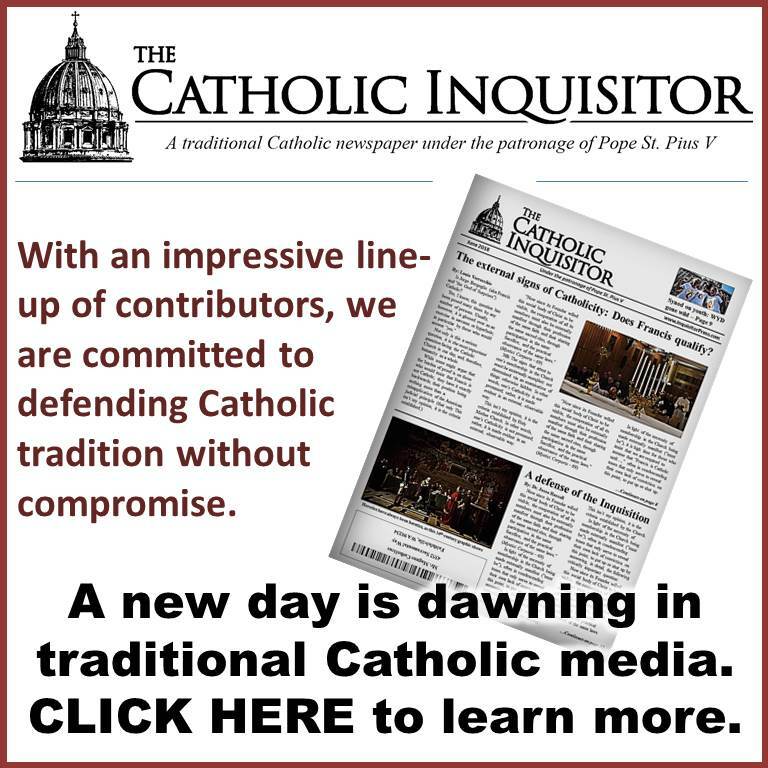 Catholics who do not realize they are being denied their birthright—true and unadulterated Catholicism. It is not in their diocesan “churches” where Our Lord is consistently ignored and abused. It must also be said that there are countless “aka” Catholics who avoid getting involved in the struggle either actively or passively. They also just go about their business as if they were living in a vacuum. Your last paragraph sums it up. Use the weapons which Our Lady has given us and, like Louie, use our talents to be faithful warriors. 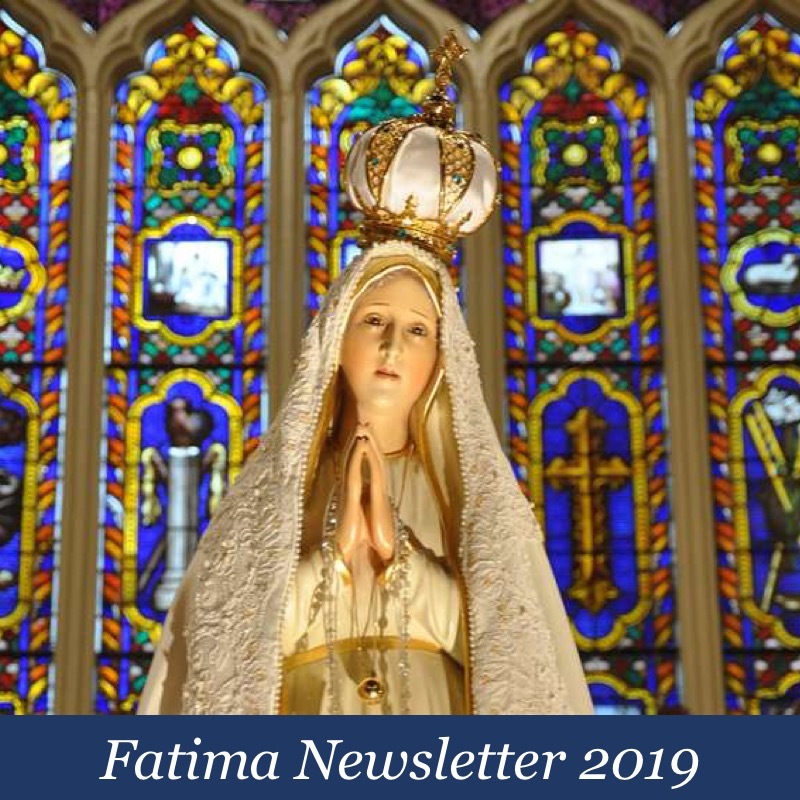 Until EVERY aka Catholic gets involved and neo-Catholics wake up and join the battle, we must ask Our Lady of Good Success to lead us in this great event and pray for us. Thank you for those words, Cortez. It is a gift to know that we are not alone. God bless! I often wonder why God has chosen to remove the scales from my eyes. All I can do is thank Him continually. It truly is a Mystery of Grace. Everyone who has had their eyes opened and discovered tradition has walked those same painful footsteps. We lose family and friends. Hopefully, when we meet our Lord, we can give him as our thanks the relationships that we have given up for love of Him. Deo gratias! God fortify you. It’s a lonely, lonely, lonely, lonely road we travel. Even more so for us with little or no access to the TLM. The blindness of our shepherds is the most unsettling–shocking and surreal really. It boggles my mind that we went from Benedict who was restoring the faith in a comforting and methodical manner to the revolutionary and chaotic Francis. Its like our religion changed overnight. I feel so violated. Time before the Blessed Sacrament, just telling Our Lord of my aching heart helps as does the rosary, of course. Is it possible this was Pope Benedict XVI’s intention from the start, that explains, in part, his Summorum Pontificum of July 7, 2007, to bifurcate the Church? It would, however, contradict his statement in Art. 1 of the SP, in which referring to two expressions of the Roman rite he states: “These two expressions of the Church’s ‘lex orandi’ will in no any way lead to a division in the Church’s ‘lex credendi.’ They are, in fact two uses of the one Roman rite.” However, therefore, the only way not to contradict the two ‘expressions’ of the Church is to posit a ‘hypostatic’ Church, not identical to the two, but that unifies the two. But is this posited ‘hypostatic’ Church be the Roman Catholic One? This dilemma explains the current outrageous Pontificate. “Holding one’s cards close to the vest” = Cardinal Burke. ‘Nuff said on that point. As for the silent hierarchy, I wonder how much of this silence is due to fear – the same fear that keeps the popes from performing the Consecration. 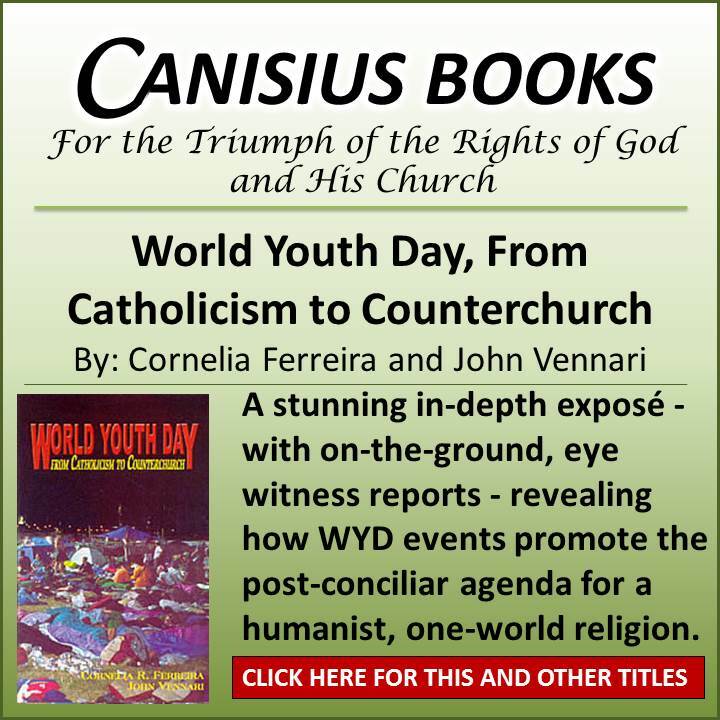 John Paul II Consecrated the world knowing it wouldn’t work. Then he called the Assisi inter religious peace summit and sent a $100 million to Poland’s Solidarity Movement. The Wall came down and the world heaped praise on him. It defies explanation unless you factor in direct diabolic involvement. Benedict XVI was viewed by the world as being even more conservative than John Paul II. Now we are well into the faux retirement of Benedict. With Francis we see the next stage of the diabolic plan. It is frightening and has all of the hallmarks of a preternatural intellect. “Rome, for me, has become a great mystery. What is happening in Rome? It is surely Rome that constitutes the most serious problem. To say such a thing is neither calumny nor detraction, for if the crisis in the Church has spread to every country in the world, it is only sensible to seek a common cause at its Seat. There is something distinctly abnormal and sinister about Rome today, the workings of grace are being obstructed in Rome, there are men in Rome who are under the ascendancy of Satan. How else could the Church be strangled, as it were, and troubled to such an extent? Though we may not readily understand the problem, one can feel it, sense the atmosphere of today’s Rome. I am still frequently in Rome, and I have occasion to chat from time to time to priests of the different sacred congregations, the men who carry out the day-to-day affairs of the Curia. These men confide to me in private that Rome has become stifling, that a veritable terror reigns in the bureaus and the corridors of the Vatican, with always somebody listening, spying, ready to report, to criticize. Even the cardinals are not immune to the terror, to the veritable diabolical influence, which permeates every facet of Vatican life. What has caused such a deterioration? Who are these sinister people? Are they hidden personalities, or are they clerics in important positions? Nobody seems to know, but what is absolutely certain is that this spirit permeates not only the Seat of the Catholic Church, but every one of us no matter how far we are from Rome.